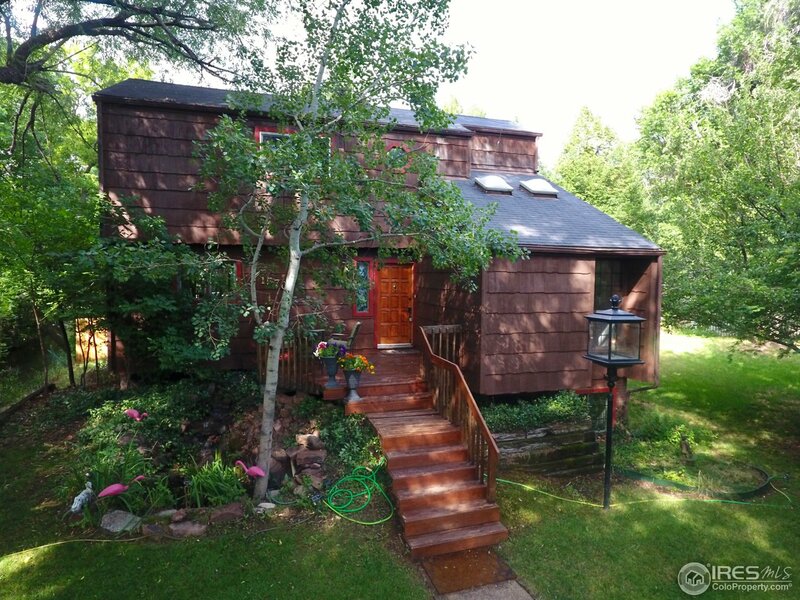 Enchanting home in a special North Boulder location adjacent to the community gardens next to Long's Gardens. Main level has been remodeled and opened up, featuring large windows throughout, bamboo floors, and an office. Enjoy the sound of the seasonal creek from the large back deck. The large master bedroom has an enormous bay window to enjoy the trees in the Summer and views in the Winter. Easy walk to the N Boulder Rec Center & Ideal Market. Great home to entertain, or to enjoy tranquility.